Tattu 1300mAh 4S1P 75C lipo battery has 1300mAh capacity and 14.8V voltage, delivers very high rate of 75C in a very affortable price. The quality that the 4S 1300mAh lipo battery delivers very solid quality that never disppoint it's fans. 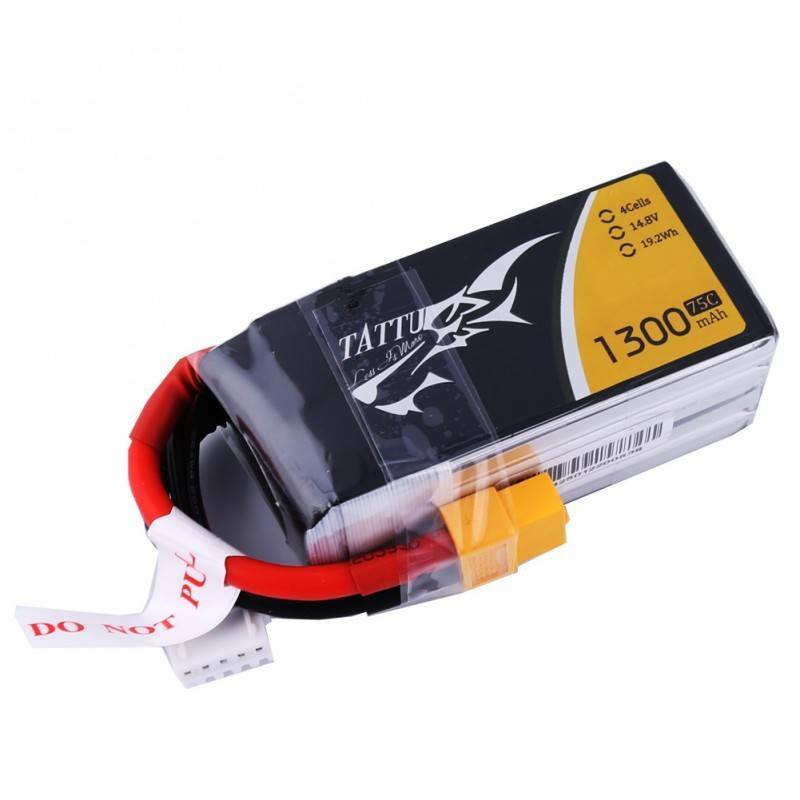 Tattu 1300mAh 4S 75C lipo battery is choosen by many FPV and Drone players due to it's high discharge rate, as well as it's a very steady battery when it comes to the discharge curf, it's also hardly puff up after being in full throttle. 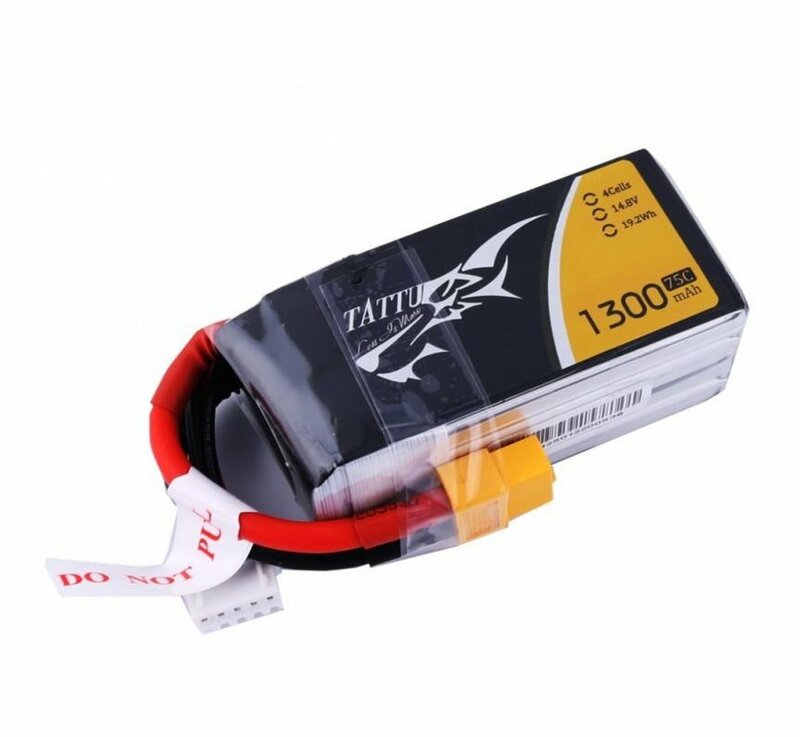 Tattu 1300mAh 4S1P 75C lipo battery provides you high quality, reliable power, suitable for Nemesis 240 Mini, Skylark M4-FPV250, Mini Shredder 200, INDY250 PLUS, HOVERSHIP MHQ2(270): ZMR 250, Emax Nighthawk 250, Mini H, QAV250, QAV180/210, Danaus, Vortex 285, Mini H, FLIP FPV FRAME, Emax Nighthawk 250, ZMR 250, HOVERSHIP MHQ2, MOJO 280, drone and FPV etc. There are 2 other Tattu 1300mAh 4S 75C lipo batteries are all on sale, Please compare these three versions then choose the right one before purchasing.